It is one thing to believe in the existence of God and it is another to believe in the reality of the afterlife. Not because one believes in God doesn't mean that his belief automatically translate to a belief in the existence of the afterlife-heaven and hell. One should think that there should never be a polarization of a belief in God's existence and a belief in heaven or hell. Yet, a notorious atheist who claimed he believed in God’s existence made the distinction clear. As I was reading a book There is a God: How the world’s most notorious atheist changed his mind by Antony Flew, I was shocked by the claimed he made. Flew was 81 years old when he accepted the belief in the existence of God. He was a philosopher and a professional atheist. In fact, his works have been reprinted, and his teachings have dominated the 21st century atheism. For him to declare that he now believed in God is a big blow to atheism. Nevertheless, many atheists do not believe that Flew truly changed his mind about God's existence. Those in the atheism camp criticized Flew’s confession merely the result of an old age or the inevitable effect of senility. Others think that this nearing death scenario and the anticipation that he will eventually meet his Creator made him change his thoughts. Although Flew confessed that there must be an intelligent designer of the universe, he denied the existence of the afterlife, the Bible-special revelation, and the other arguments on the existence of God. In short, he is not a Christian according to our definition of the term. He does not believe that God intervenes in the affair of people, and that he believes only in God's existence based on the argument that there must be intelligent designer of the universe, but does not believe the Bible and other doctrine we Christians believe. Not because you believe that there is God doesn't mean you also believe that there is heaven and hell. 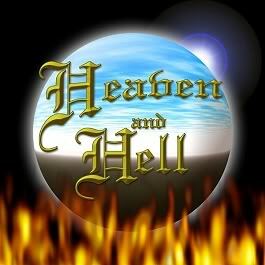 Is there really heaven and hell? What if there is no heaven and there’s no hell? But what if there is really a hell? Those who believe in the Bible should also believe that there is life after death; not everyone does. Even evangelical Christians who believe the Bible define hell differently. The traditional teaching that hell is a literal and an everlasting fire of torment is being challenged by younger thinkers, even in the evangelical camp. Does it matter if one believes in hell or not? For others, it does matter. As a matter of fact, many people became Christians as a result of selfish desire to escape hell and gain the eternal bliss of heaven. It does matter to those who are passionate about evangelism and soul-winning; the thought about eternal fire in hell fuels their passion reach one more for Jesus. Fortunately, many of those who believe in God and the afterlife live their life day-after-day as if God and afterlife do not exist!